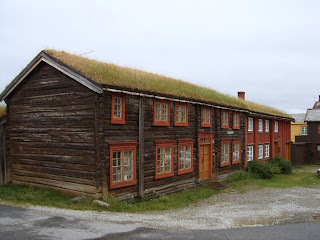 Norwegian town Røros is actually unique. It is one of the most ancient wood towns in Europe, everything here has been preserved in primordial look since XVIII century and some houses were built even in XII century. It’s not surprising that Røros is the Norwegian sightseeing and it is in a UNESCO World Heritage Site since 1980. Small, black of sunlight log cabins (or houses, or huts – how you want call these houses) have their original ornament on windows and doors. Some of those izbas are as if they grew into ground. But people live in most of them, somewhere small shops and café are opened, where guests can enjoy traditional Norwegian waffles with sour cream and strawberry jam. But a lot of those houses, true wood architecture works were built more that 300 years ago. This town appeared in times of mining prosperity in XVII–XVIII centuries. It’s interesting that in spite of fires, which have been here two times, a lot of wooden houses are preserved. Nonrandom local citizens installed here super-modern and expensive fire alarm and firefighting installation. On the highest building of Røros – wooden church – there is a special search equipment fixing temperature. Heaven forbid if it will grow a little (even gentle hint of fire) and the device immediately signs and engages water sprinklers. 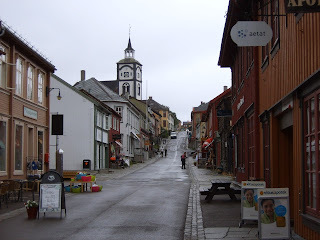 Røros also has sightseeing. It is cooper mining factory which is the Smelthutta museum now. People smelted cooper here since 1646 up to 1953 – during three centuries! In Ulugslav tourists can walk down into mines in 50 metres and go into mountain in 500 metres to feel the atmosphere of that ancient times and look delfs. And after that you can buy here cooper souvenirs, for example, kittle or bell. 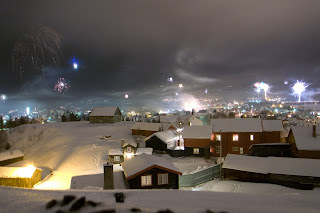 Røros is the coldest town in Europe, some winters here is 40–50 C°. But it doesn’t disturb people entertain on skies and snowboards. Widespread proverb here is “the true Norwegian is born with skies”. A traditional market “Rørosmartnan” is organized in Røro in winter, it begins on the last Tuesday in February and lasts five days. 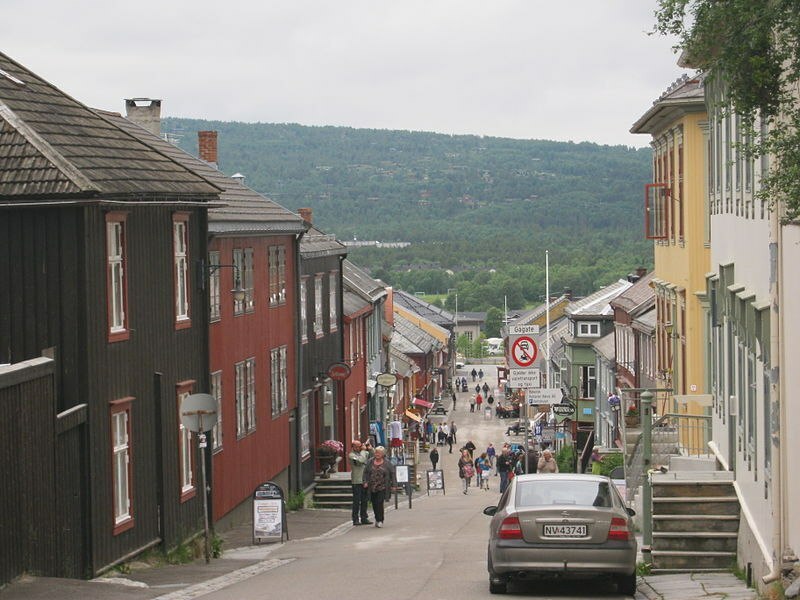 “Rørosmartnan” draws 60,000–70,000 tourists each year. There is also an outdoor musical theatre performance played here to commemorate the tragedy when the Swedish soldiers froze to death. This show has been played since 1994. In Røros and near towns it is possible to see the Sami and their way of life, they are native inhabitants of these places and all territories adjoining Arctic Ocean. You can recognize them by their traditional wear. They are very friendly and for sure they will invite you to laava (it’s like jurt) and treat you to their national cuisine of venison. 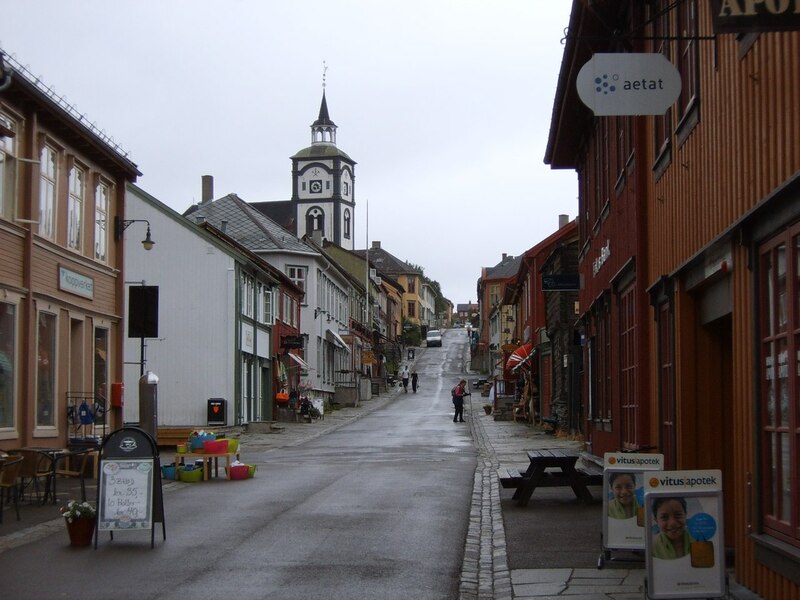 The Røros citizens are very proud of their identity. They are about 6,000 people but they can attract more than million tourists each year and lodge them in wooden hotels. The older houses have more expensive rooms. Local authorities diligently try to hide modernity.